Thomas Harris, the novelist best known for Hannibal Lecter is publishing a new book next year to much excitement, his first for over a decade. A notoriously private man, not much is known about his life. He was born 22 September 1940, became a journalist covering the police beat and produced his first novel Black Sunday in his mid 30s which was only a moderate success. 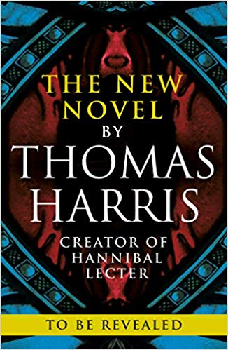 He wrote Red Dragon six years later which introduced Hannibal Lecter but it was the sequel, Silence of the Lambs, in 1988 which shot him to prominence. 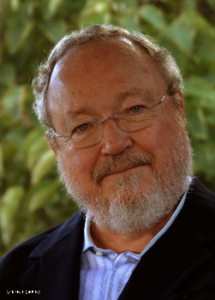 According to wiki he talked to his mother every day and discussed his books with her. He’s been married twice; and is a Cordon Bleu cook. He’s probably a last degree Virgo Sun (unless born at ten to midnight) with his Sun conjunct Neptune and Mars in Virgo and all trine Uranus in Taurus. Neptune Mars attracts him to publicity and films; Uranus Neptune is inspired; Virgo is a writer’s sign; and can be reclusive. It’s a very earthy chart with a Jupiter Saturn conjunction also in Taurus which trines his Mars. And he has a Gemini Moon. 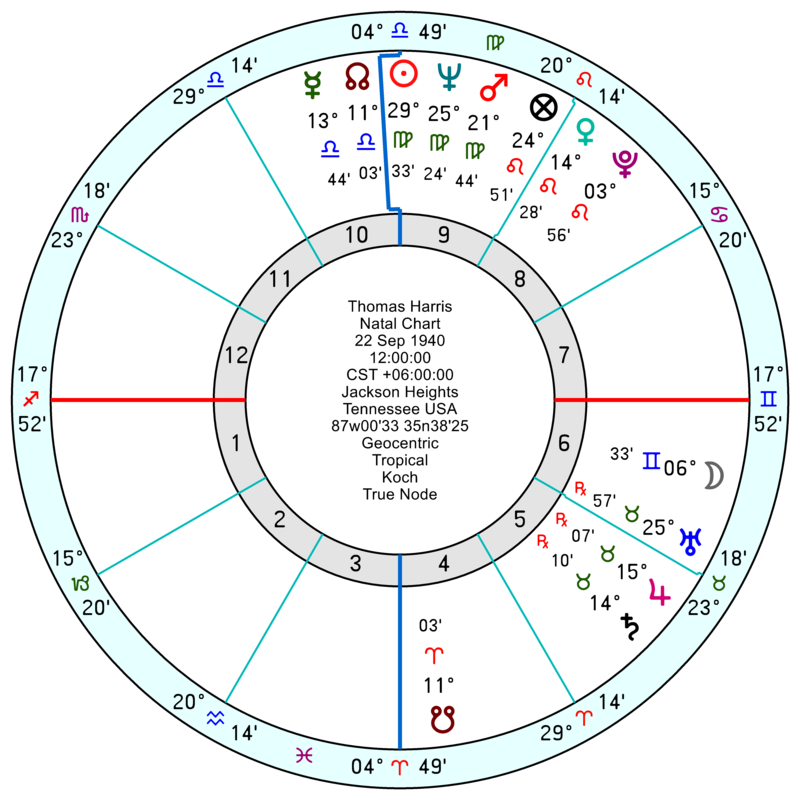 There’s nothing especially brutal about his chart, though his creative 5th and 7th Harmonics join Saturn into a harder aspect to Mars, which has overtones of cruelty. That plus an overdose of Earth in his natal chart will incline him towards the flesh and baser reality. 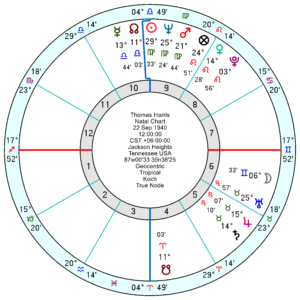 His writer’s 21st Harmonic links the Sun to a Neptune Pluto conjunction which points to great success. Next year sees his Solar Arc Jupiter move to conjunct his Pluto which should bring a boost to his finances and status; though it’s quickly followed by Solar Arc Saturn conjunct Pluto – so an exuberant high and then a more sombre mood. Thank you very much Marjorie!